So this morning’s new reported that running just 5 minutes a day CONSISTENTLY and basically eternally, can lower the risk of cardiovascular disease by almost half! The question was posed “What about all the people that say they can’t run because their knees, ankles, hips, feet, back, etc., hurt?” The answer was basically that any or all of these things hurt because you don’t run. Makes sense to me. So if 5 minutes causes pain, try doing it for 30 seconds a day and add 30 seconds each week. This is a pretty basic theory and it really works for most everything. Slow and steady really does win the race. Of course there will be times and situations when running is just not possible (although after watching Amy Purdy on Dancing With the Stars this year, I am pretty convinced all things are possible) and in those cases, substitution is key. I have worked with people in wheelchairs and gotten their heart rates up in training zone with a lot of upper body work. Be creative and get that heart pumping! It’s not only good for the heart, but all your organs which are dependent upon the big ticker. I am mostly grateful to my friends and family who have sacrificed a lot to be with us. Destination weddings are beautiful but challenging. This wedding is rather intimate and we all asked only our closest friends (who knew Kyle from forever) and immediate families to be there, as per the kids request. While Kyle and Nicole and many of their friends live close to the wedding venue, most of our and LeeAnn and Gary’s family and friends, do not. I am grateful that my father-in-law, Hy and his “like-a-wife,” Ellie are healthy and spunky enough to get on a plane from NJ and make the trip. I am grateful that Derek and his “like-a-wife” Jolene can make the trip in from Vegas. Mitch and I haven’t seen them in 8 months and it’s been wayyyyyyyyyyy too long. I am grateful to the rest of our family and friends that are traveling to be a part of the festivities, coming from California, NY, North Carolina and of course various parts of Florida. We understand all that is involved, the planning that it took, the efforts that were and are being made and we can’t thank you enough. We keep visioning this huge ball of loving energy that is going to converge on Friday and Saturday and it blows us away. And while we are on converging and merging, we are incredibly grateful for the family that Kyle is marrying into. I think when he and Nicole say “I DO,” we will officially become the Jones-Zipp crew and we are so excited about that! My heart is so full, I could go on, but if I do, I think I will have given away too much of my wedding speech/toast! …For more photos of the kids (engagement pics) visit their site at zipptothewedding.com and click the camera icon…. Remember my gym peeps, that I WILL be there today, tonight and tomorrow and then will return (in what condition, I don’t know!?!) on Wednesday the 6th. Ellen will be subbing this Friday at 11:30 and Monday at 8:30 and 11:30. Tuesday all my classes will be cancelled including 11:30 strength training. Keep moving and thanks for all the love and support! Posted on July 29, 2014 Categories Fitness, Holidays and celebrations4 Comments on Running on Gratitude……. I will be at the gym for 9:30 class this morning. My deck of cards will be there, too. My mind is so focused on the big upcoming day, (weekend) and being together with most all of my closest loved ones (almost), that I am having a super hard time focusing on much of anything else. Working makes passing the time a little easier, and I always love being with my students. Today thru Wednesday I remain on my regular schedule and all classes are as usual. My friends and family are doing a great job of helping me savor every moment and I spent a beautiful day at the beach, yesterday. I don’t like to put names up on here unless I am certain it is not invading any privacy, so I will just say thanks to my friend who encouraged me to join her for a nice long beach outing. The ocean, the sun, the sand were about the nicest EVER and they all do the body and mind a world of good. I am a bit browner (like 50 shades) than I probably should be…lots of coconut oil and moisturizing cream this week! Coconut oil has become my favorite non edible. I use it before I want to get a good shave by putting on a coat of it and leaving it on for a few minutes, before applying a hot washcloth and then shaving as usual. I also use it to exfoliate my face by putting some in the palm of my hand and adding some kosher salt to it. After gently rubbing it around on my face, I wipe off with a tissue and then wash and begin my usual makeup routine, starting with a moisturizer with sunscreen. Before adding toothpaste to my toothbrush, I first brush my teeth with a small amount of the coconut oil. This helps clean and brighten the teeth and has some good antibacterial components. I also love to brush with a mix of toothpaste, Arm and Hammer and white vinegar. I am no longer wasting any money on expensive products filled with chemicals when these items do the trick for most all my skin, hair and teeth needs. Oh yes, some coconut oil before a shampoo or in place of a chi oil before blow drying or flat ironing also is great. Just make sure you use very little. 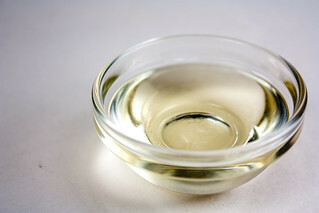 Finally, I always mix some of the oil in with moisturizing cream for my body. Long after the cream fades into skin, the oil will leave just enough of a gloss to keep skin looking hydrated and glowing. Sure, you can use it to cook and bake as well, but I don’t make all those fancy foods, so it’s purely a bathroom item around this house, having at least 50 shades of use! Have you seen the trailer for 50 Shades and will you be seeing it???? Just curious. I am often reminded of what I learned when watching that documentary Happy recently….More money just doesn’t equate to more happiness. I found this one on Facebook this morning and thought it was worth a share…. To clear up some confusion, I am on a regular, full, work schedule this week, through Wednesday the 30th. Check back next week for schedule changes the 1st through the 5th. Nice to know all my kids had a special weekend. Me, too. Today it’s back to reality. Sending warm hugs to Jolene and her family in California as they travel through their reality, today. Hoping Kyle and Nicole are back in one piece this morning. Rest up for another crazy weekend is coming very soon! My time blogging and on FaceBook will be rather limited the next couple of weeks so I can be present with all the great stuff going on. Kyle and Nicole are asking for an unplugged wedding. More about that when it gets a little closer. In the meantime, I am practicing! Keep moving and keep spreading the peace. Remember the next 21 day meditation is in just a few weeks. I will be so ready! Much love………. There will be NO 9:30 class at the gym today, Saturday, July 19. I’ll be back for Monday morning classes. Have a great weekend, everyone. Get outside and enjoy. Take time for some fitness, some peace and some FUN! Last night we attended an event that no one ever wants to attend. Ever. Dillon Joseph Brooks slipped away, apparently with his usual smile on his face, last Saturday. Only 9 years old, he impacted the community to the point that about 1000 people were in attendance at the service and celebration of his life. Dillon was diagnosed with a very aggressive brain tumor last August and though his parents had the ability to bring him to the best facilities and the best doctors in the country, the cancer could not be beat. We learned that Dillon never cried, never asked why and loved tacos, Starburst, bright colors, loud music, fireworks and bendy straws as well as his dad and mom, who never left his side. What amazing job they did last night in honor of their son who never wanted people to cry. Our hearts are with his parents, siblings and the rest of the family as they navigate through these difficult days and hope they are finding some peace in knowing that there are no more surgeries, no more doctors, no more hospitals and no more suffering for their baby. This is the circle of life. The roller coaster we ride. Through the darkest days and the brightest nights, love is always the answer. It’s what we all have to give and there is an endless supply….Let’s all love each other just a little more today and then wake up and repeat….over and over again.